The goal of this campaign is to display artistic/stylized photos/art that demonstrate that Stoneham is a community welcome to all. Everyone is welcome to submit entries. The deadline for submissions is September 11, 2018. All submissions will be on display at the Chamber Town Day booth where participants will be given the opportunity to vote on the top submissions. Gift certificates will be given to the top three entrees as determined by Town Day attendees. In addition, all winners will have their art featured by the Chamber online, in social media, and in printed materials, and may be disseminated to a variety of audiences. The winners art will be featured in a special-edition poster that will be displayed in local Stoneham business storefronts. You are welcome to download this PDF flyer and distribute it to anyone who may be interested. Questions? 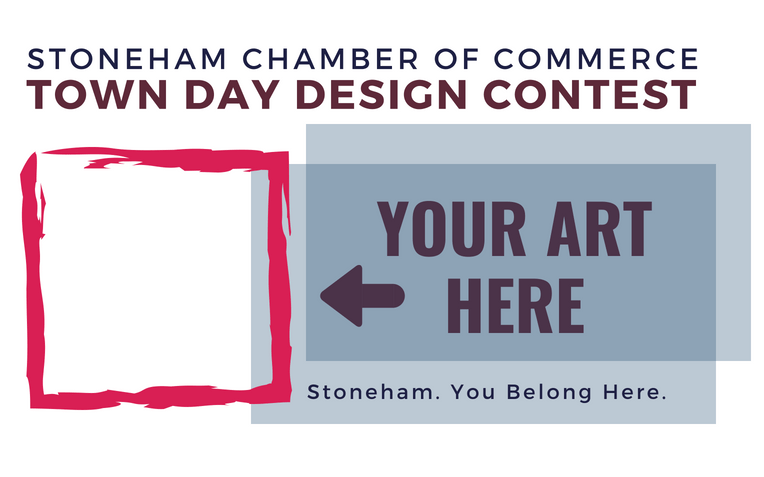 Please contact Megan Day at megan@stonehamchamber.org or call (781) 438-0001. You retain your rights to your image; however, by entering the art contest, you grant the Stoneham Chamber of Commerce (and those authorized by the Chamber) a royalty-free, world-wide, perpetual, non-exclusive license to publicly display, distribute, reproduce and create derivative works of the entries, in whole or in part, in any media now existing or later developed, for any Stoneham Chamber of Commerce purpose. The Stoneham Chamber will not be required to pay any additional consideration or seek any additional approval in connection with such uses.